I chose option 2!! I'm loving creating these little readers! I was going to make just one fiction story, but then I realized I wanted a non-fiction-ish story. Now you may be wondering, what makes a book non-fiction-ish? I wanted it mainly factual, but I didn't want to ruin the magic of leprechauns. 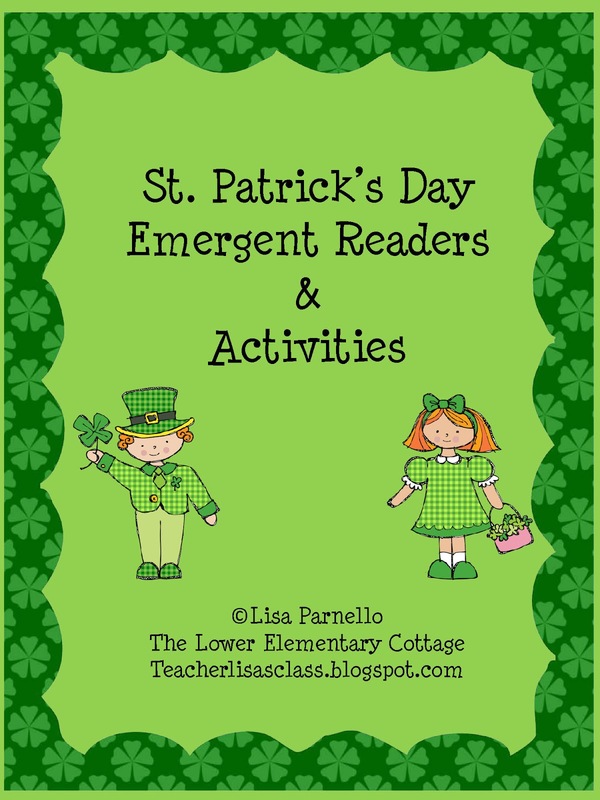 I know some teachers use leprechauns as a fun little learning experience to set traps and things, so I don't want to burst that seriously awesome bubble. I refer to it as a "legend," then talk about how they are known for being tricky. 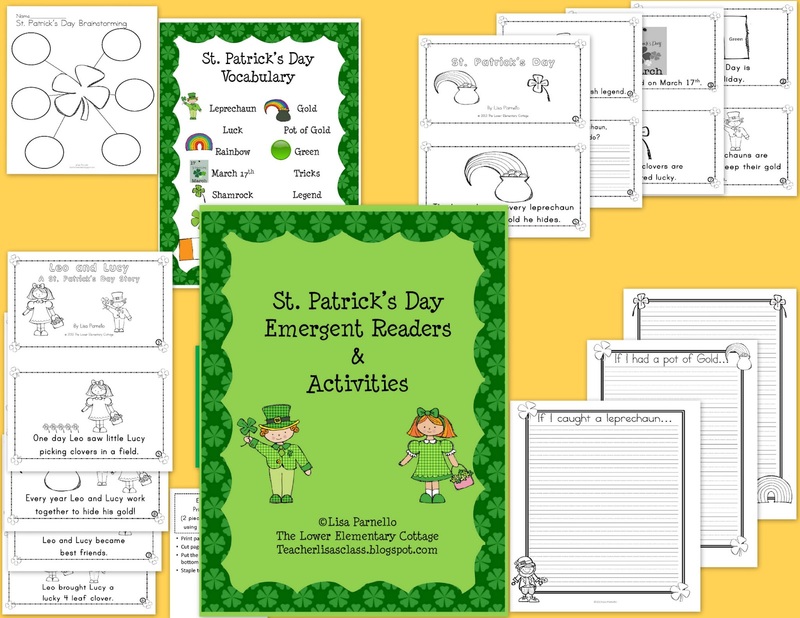 Both emergent readers are made to print the 8 page stories on 2 pieces of paper. Printing instructions are included. They are also made as blackline masters to save on printing cost for you. I have all of these images in color, if you would prefer a color version, just let me know and I can add in that format. 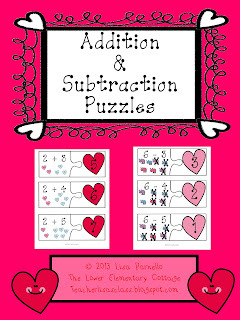 Also, my Valentine Addition/Subtraction Puzzles are 50% off for a limited time! First I had a girls only CrossFit class. This is RARE! It's a dude dominated gym/sport/activity and there are more times than I can count that I was the only girl in the class. Today it was all girls, even the trainer! In fairness, it was a tiny class of 5 of us, but still... Girl Power! I start soccer season in 3 days, and I can't wait to see how much stronger I am on the field thanks to CrossFit! Next up... Speech Teacher Kari (AKA the only person over 7 I talk to some days at work) just had her baby last week. A couple of the girls from work and I are going to see her and the little guy in just a couple of hours. I can't wait to see them! I made her a mommy basket! Kari, you better not be reading this post before I see you! I may be ruining the surprise right now... 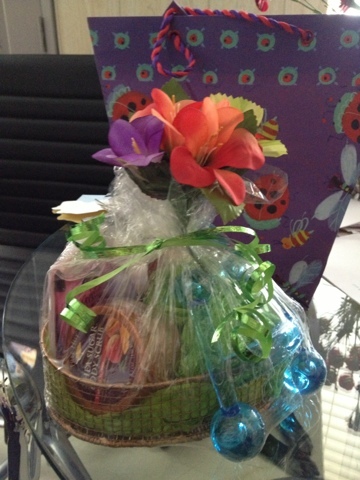 But I put together a basket of goodies like face masks, sugar scrub, bubble bath, and a few other little surprises. Last but not least on girls day... Book Club! We started book club toward the beginning of the school year and I love it! We hang out, have some wine and chat. Some months it's a lot about the book, other months it's a lot of teacher chatter. It's by no means required to be a teacher, but teachers have teacher friends! I think we're a 3/4 teacher book club at this point. I am guilty of being a total chick lit reader! I love that book club makes me expand past Jane Green, Melissa Hill and Cecilia Ahern books! I'm a sucker for British/Irish girl writers! This month's book was The Art of Fielding and surrounded the life of a baseball player. Nothing I would ever have picked out on my own, but I enjoyed it. I spent all day Tuesday finishing the book. Perfect rainy day activity!